How Essential is Vitamin C to Prevent Scurvy Disease? Once a widespread “plague of the sea,” the vitamin C deficiency known as scurvy is a treatable and manageable condition in today’s world. Due to many deaths linked to the disease throughout history, the question, “Is scurvy contagious?” remains. Treatment for scurvy, or scorbutus, often involves simple dietary changes. The human body cannot produce vitamin C on its own. Therefore, it’s important to include foods rich in the vitamin in your daily diet. While many of the fruits and vegetables we consume contain the daily recommended amounts of vitamin C, lack of access to fresh produce is an issue in many parts of the world. Those with access to vitamin C-enriched foods may also be at risk for scurvy due to medical or behavioral conditions like Crohn’s disease or certain eating disorders. Who Is Affected by Scurvy (Scorbutus)? What Are the Symptoms of Scurvy (Scorbutus)? For centuries, those affected by scurvy lacked access to vitamin C through sources like fresh fruits and vegetables. This condition was the cause of death for millions of people, most famously sailors during the age of exploration. 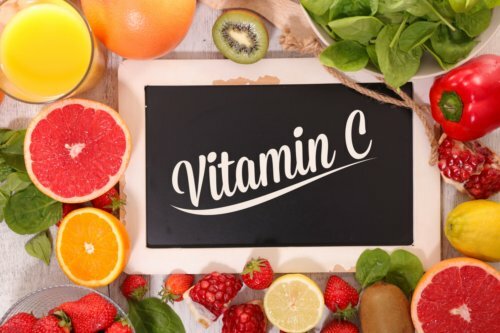 Between the 16th and 19th centuries, many lived life on the sea waters for months and even years at a time without vitamin C.
In modern times, the number of those with scurvy is significantly lower; however, many continue to suffer from the condition. While many cases are reported in underdeveloped countries where malnutrition is extensive, scurvy is still an issue among people with certain conditions or diseases. Is scurvy contagious? No. As scurvy is brought on by a lack of vitamin C, it is not a transferable disease. The symptoms of scurvy appear after the body is depleted of vitamin C, which is known to be essential for iron absorption, as well as good skin health with collagen production. In addition, the levels of energy within the body may suffer with scurvy, as vitamin C assists in the creation of dopamine, epinephrine, carnitine, and norepinephrine. A lack of vitamin C is the primary cause of scurvy. The effects of such a deficiency encompass a wider range of complications due to the rise of symptoms. Since scurvy is essentially a vitamin C deficiency, it is one of the more treatable medical conditions. The human body relies on proper intake of the essential nutrient through food, drink, or supplementation. By maintaining a diet enriched with vitamin C, scurvy can be treated and prevented. The daily recommended amount for adults is between 65 and 90 milligrams. Extra amounts are usually excreted in the urine. Excessive use, or a megadose, of vitamin C may lead to nausea, bloating, constipation or diarrhea, headaches, abdominal cramps, and kidney stones. Prevention begins with including vitamin C-enriched foods in the daily diet. One medium-sized orange fulfills the daily recommendation with 70 milligrams of vitamin C.
Other good sources are strawberries, oranges, lemons, tomatoes, carrots, broccoli, cabbage, bell peppers, and spinach. Main dishes include oysters and liver. The ascorbic acid in these dietary sources can be diminished or lost with heat or during storage in dark places. Vitamin C is best sourced from fresh raw fruits and vegetables. The recommended dietary allowances of vitamin C are suggested by the Food and Nutrition Board of the Institute of Medicine at the National Academies. These values are used by medical professionals to set a nutritional level of essential nutrients such as vitamin C.
Referred to as RDA, this recognizes the amount of a nutrient required to maintain good health. Known as AI, this is the nutrient level below the RDA of an adequate amount of vitamins and minerals for health. Designated with the UL symbol, this setting provides the level of nutrients required to avoid negative health effects. Scurvy treatment involves suitable intake of vitamin C products. As noted above, the recommended amounts for infants and adults vary, as do the sources. Infants requiring additional vitamin C can acquire the nutrient through breast milk immediately after birth. For mothers unable to nurse, or for weaning infants, cow’s milk with a vitamin C supplement is given. Adults with a vitamin C deficiency may find treatment through foods or supplements. A scurvy diagnosis may also go beyond vitamin C deficiency and require more specialized treatment. Many fruits and vegetables are natural sources of vitamin C.
This nutrient is best to absorb from fresh and raw sources, as the heat from cooking may lessen the potency of the vitamin C.
Steaming the products is a better choice than boiling, baking, or stir frying for side dishes. A vitamin C supplement in pill or liquid form may be an option for those with no access to fresh fruits and vegetables. As a vitamin C overdose can occur to the extent of severe symptoms, supplements may need to be prescribed. In some cases of a vitamin C deficiency, a medical professional may be necessary. A dietitian or nutritionist can help outline an appropriate meal plan for one’s particular diet requirements. Social workers and occupational therapists are referred to individuals with scurvy who are not able to perform shopping or cooking duties due to a physical condition. A referral to a gastroenterologist may be necessary if the vitamin C deficiency is linked to a digestive issue. This is often seen with conditions such as Crohn’s disease. A psychologist may help in cases where scurvy results from a complex mental health condition like depression, schizophrenia, anorexia, or other behavioral condition. Often times, these conditions have a direct or indirect correlation with an eating disorder. Scurvy has been the cause of millions of deaths over the centuries, and was thought to be a contagious, plague-like illness until it was discovered that the condition was due to a vitamin C deficiency. Whether the absence of this essential nutrient is due to a lack of access to fresh fruit and vegetables or is an offset of another medical condition, scurvy is a treatable and preventable ailment. “Scurvy,” National Center for Advancing Translational Sciences; https://rarediseases.info.nih.gov/diseases/10406/scurvy, last accessed November 28, 2017. “Scurvy,” Encyclopedia Britannica; https://www.britannica.com/science/scurvy, last accessed November 28, 2017. “Scurvy,” NHS; https://www.nhs.uk/conditions/scurvy/, last accessed November 28, 2017. “Scurvy,”Apollo Hospitals; https://www.apollohospitals.com/patient-care/health-and-lifestyle/diseases-and-conditions/scurvy, last accessed November 29, 2017. Butler, S., “Ahoy, Pass the Cabbage: Preserved Foods in the Age of Exploration,” History, December 5, 2012; http://www.history.com/news/hungry-history/ahoy-pass-the-cabbage-preserved-foods-in-the-age-of-exploration, last accessed November 29, 2017.